If you're like around half of the country, then you’re probably already making New Year’s resolutions like losing weight, getting organized, spending less money and saving more and living life the fullest. While admirable, only 8 percent of people are successful in achieving their resolutions. If you want to join that exclusive group, then take these eight approaches for making your New Year’s resolutions stick. "Whys,” as described by Michelle Segar, Ph.D, “are the reasons for making those resolutions in the first place.” In other words, these “are the foundation of the entire behavior change process and have a domino effect.” For instance, when you claim that you want start exercising in order to lose weight, that’s not the right ‘why’ because it’s that’s not enough motivate enough for following through with the resolution. The "go big or go home" mentality rarely works when it comes to New Year’s resolutions. If you’ve never exercised before, it's unlikely you will suddenly start working out for an hour every single day. Instead, start with small and attainable goals, such as going to the gym three days a week or short daily walk. Once this becomes a habit, you can tack-on larger goals. Let’s be honest here. There’s only so much willpower we human beings possess. Hence, that’s why having multiple resolutions isn't likely to work, according to Ian Newby-Clark, Ph.D., a psychologist at the University of Guelph in Canada. While some resolutions are simple -- like taking a Vitamin C pill daily -- ambitious resolutions require behavior changes. For example, weight-loss takes more than a vague resolution to "eat less." Losing weight means you start shopping and cooking completely different and commit to an exercise routine. "Thinking through these substrategies boosts success rates," says Newby-Clark. "But it would take too much attention and vigilance to do all that and also decide it's time to brush your teeth for the full two minutes and become better informed about world events." When you have someone else to “share your struggles and successes,” it makes the journey easier and less intimidating. Most importantly, it keeps you inspired and motivated. I know that I was most dedicated about working out when I had a workout buddy. We pushed each other whenever one of us was slacking. - Learning about the process of achieving your goal. - Seeing the journey to your goal as an adventure. - Re-examining your actions to find things you might have done differently. - Realizing the fact that you have a second-chance is a gift. - Knowing that persistence is a choice. - Seeking specific critical feedback. - Letting it fuel your focus. - Viewing frustration as a sign that you care. - Not blaming yourself and feeling inadequate. 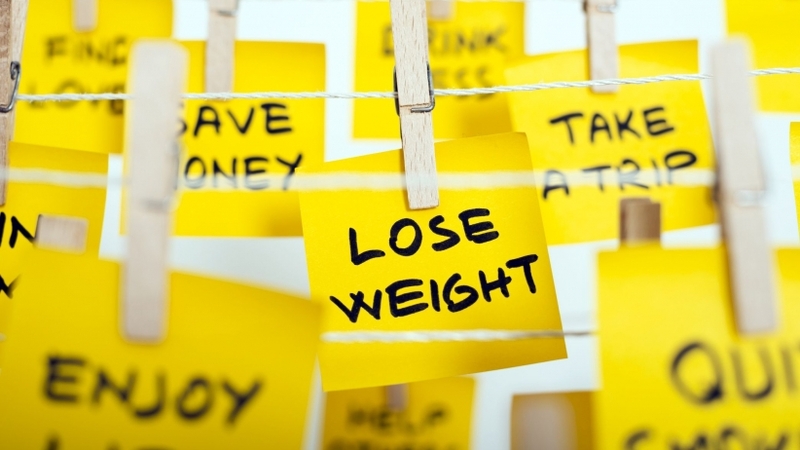 One study found that people who had a financial incentive to lose weight lost 14 more pounds than those who don’t have such incentives. You can apply this to any resolution, but if getting fit is your goal, try the free GymPact app, says Dr. Joseph Mercola. Tracking your progress may one of the easiest, and effective, ways to making your resolutions stick. In fact, one study at University of Washington discovered that the more that you monitor your performance, the more likely you are to achieve your goals. Why? Because you’ll receiving frequent feedback, which encourages you to do better. A survey from Fidelity found two-thirds of those who set financial goals find progress to be a motivating factor. According to Tory Higgins, a professor of psychology and business at Columbia University, there are two distinct types of goals: Promotion goals and prevention goals. The prevention goal, on the other hand, is something that we believe we are responsible for doing. This makes it a duty and obligation. So, that New Year’s resolution about losing weight would be, “I’d like to lose 10 pounds, because it is my responsibility to my family that I remain healthy.” A prevention goal is more likely to stick because, “When someone starts to do something in the prevention system, they’re very likely to continue. It’s as if, once they do it the first time, it becomes the status quo,” he said.